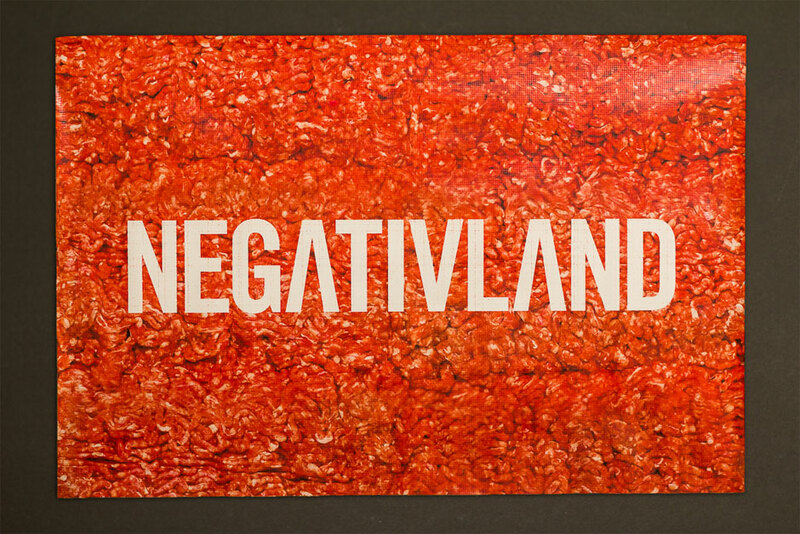 Negativland, an experimental band known for their countercultural and anti-consumerist mindset, infrequently tours the country. 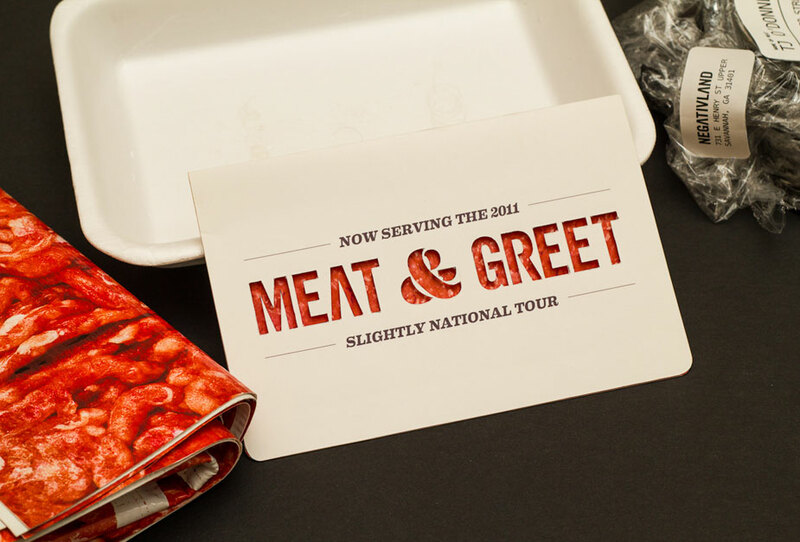 To announce their upcoming tour, this promotional mailer points to our ever-increasing status as merely meat to a corporately controlled society. 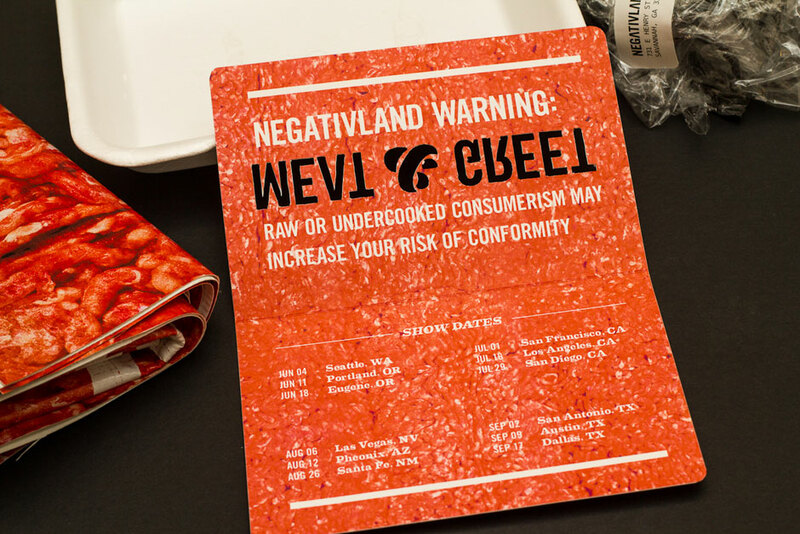 Negativland wants to fight back against rampant overconsumption, and this piece reflects that fight. 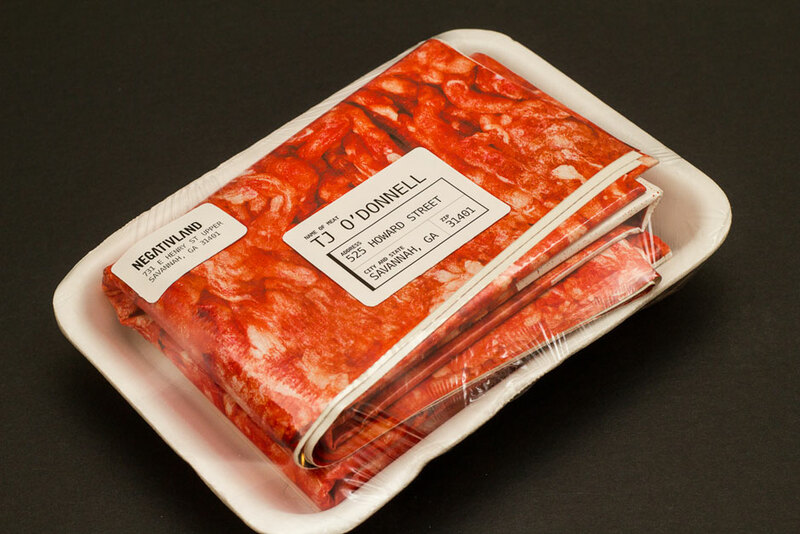 At first you see only a meat-like printed piece underneath industrial saran wrap with butcher labels attached. 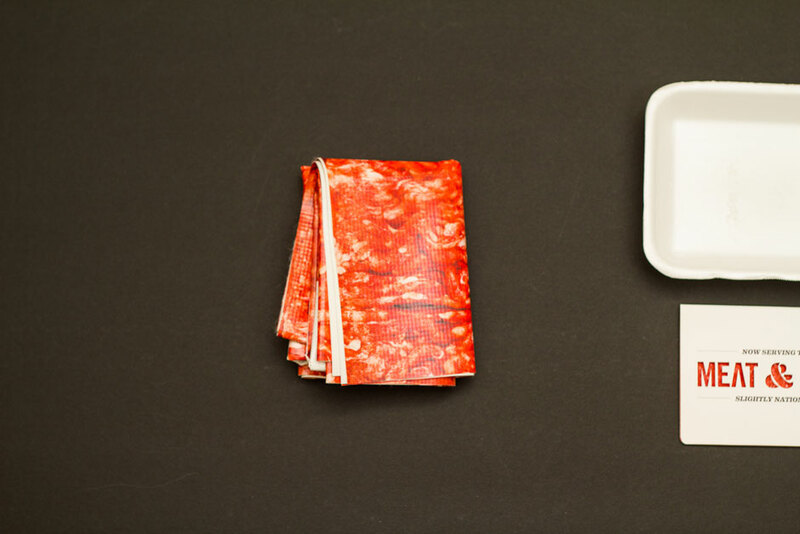 Underneath is a notecard covered in meat. 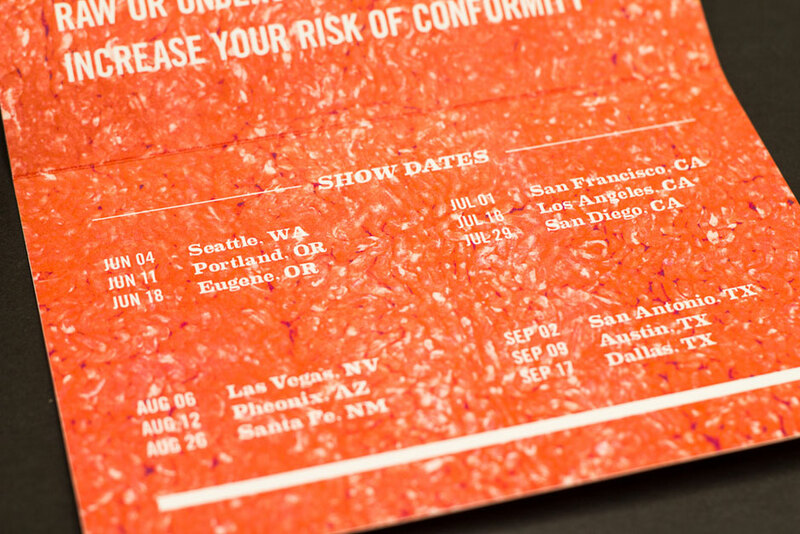 Inside is a promotional card that is die-cut to reveal the meat beneath and lists all of Negativland’s upcoming tour dates for their Meat & Greet Tour. 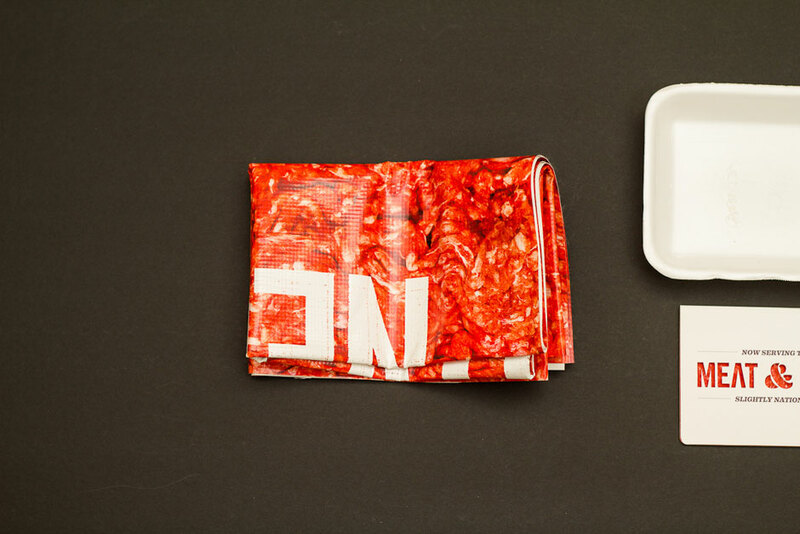 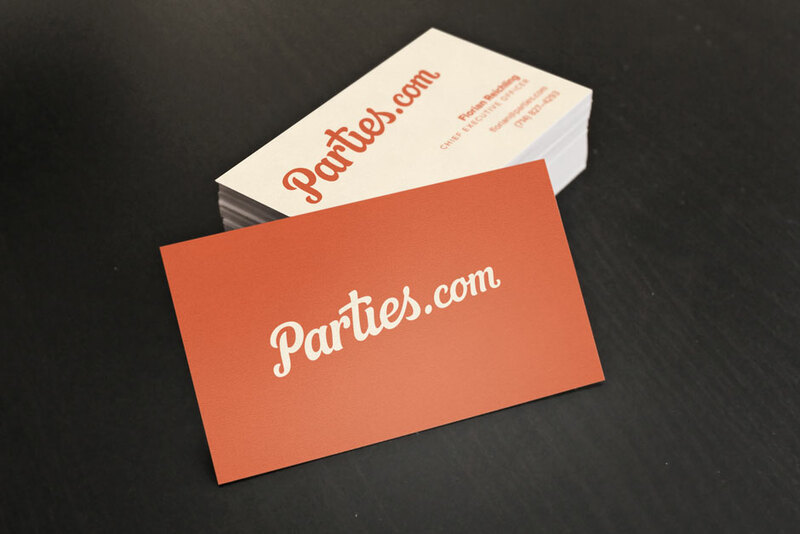 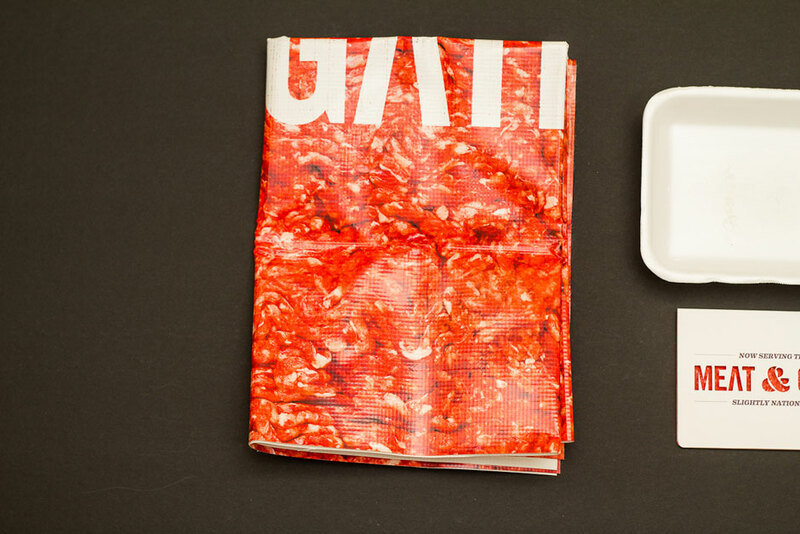 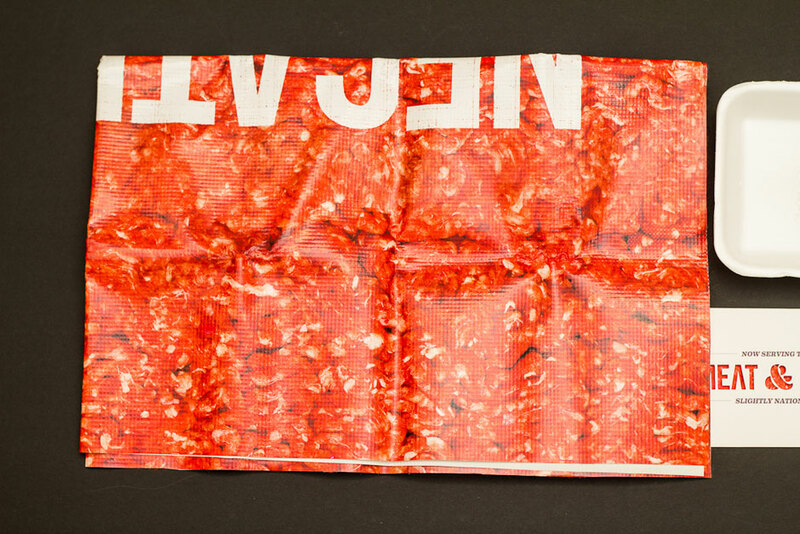 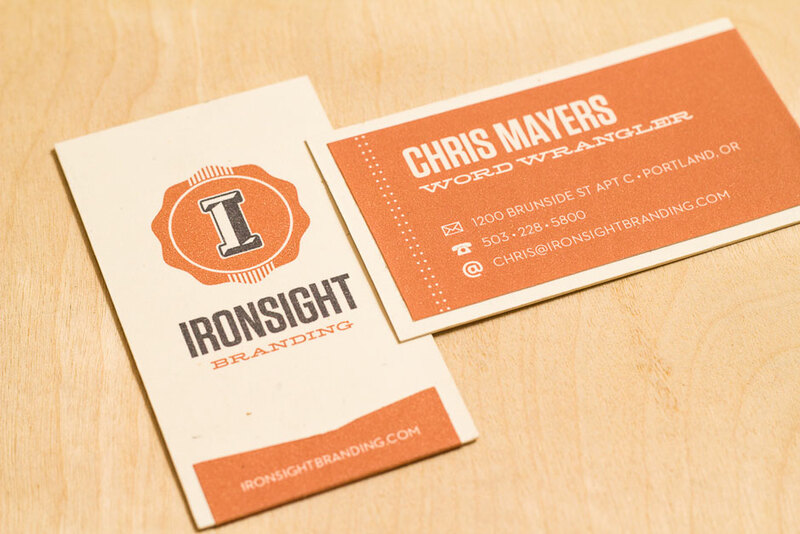 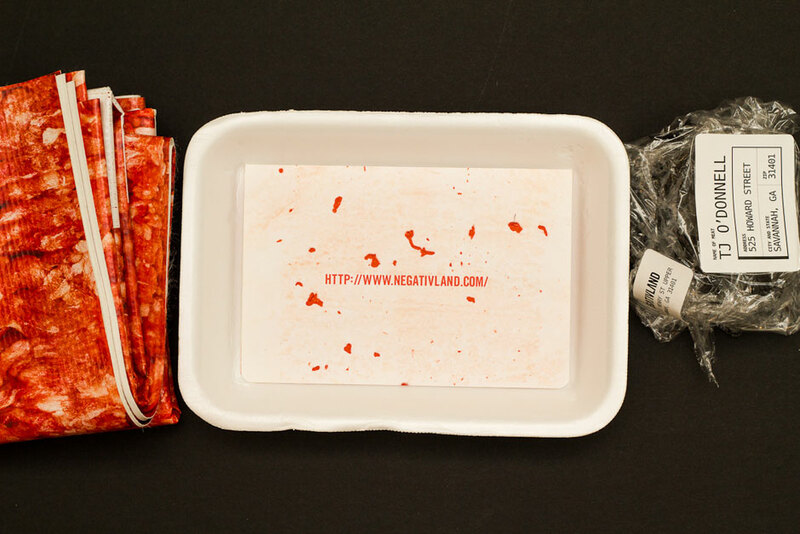 A picture of raw meat is printed on canvas and folded into the mailer. 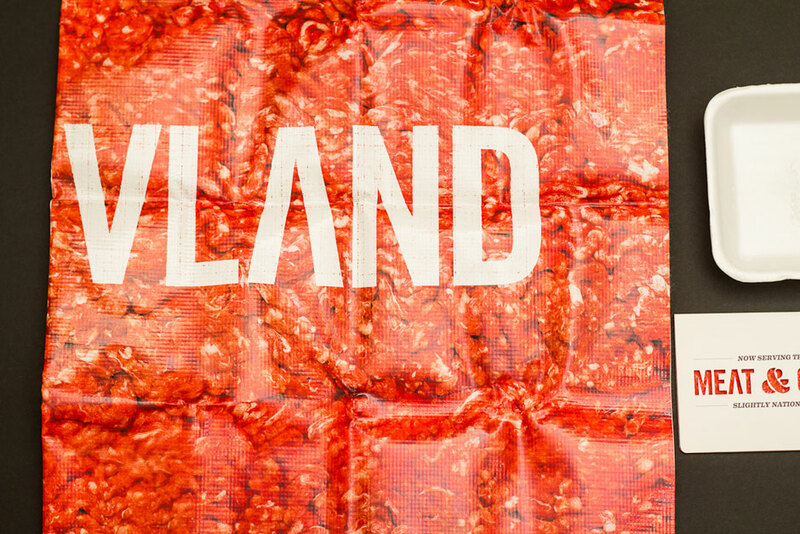 Once it’s unfolded, the canvas can be used as a flag at Negativland shows or even just as a poster. 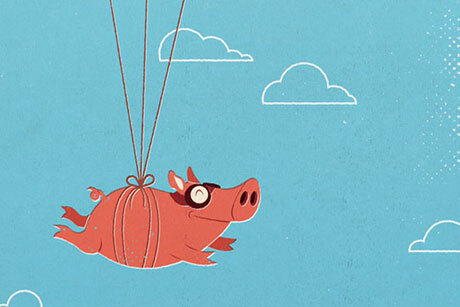 Or a thing to scare children with. 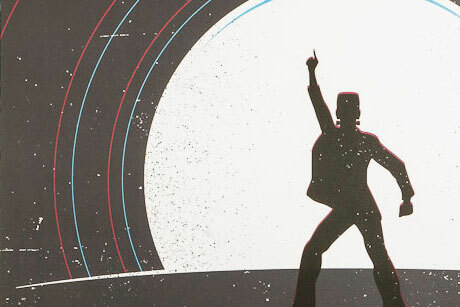 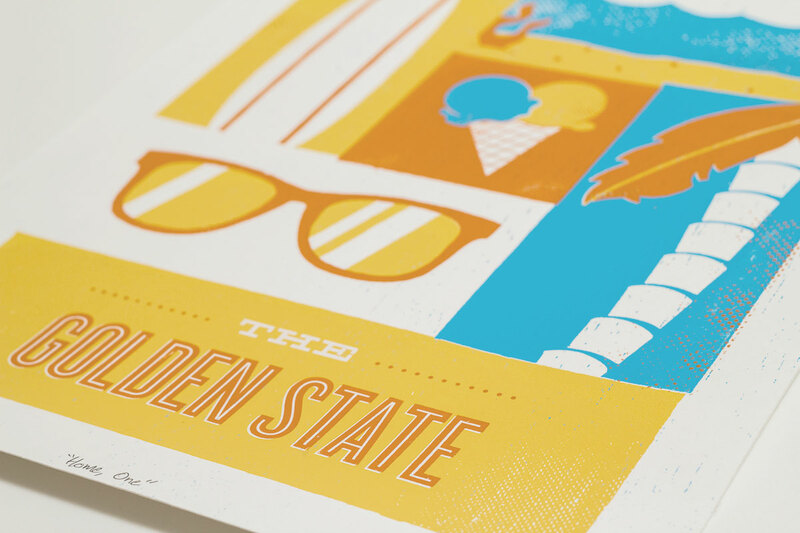 I mean look at it. 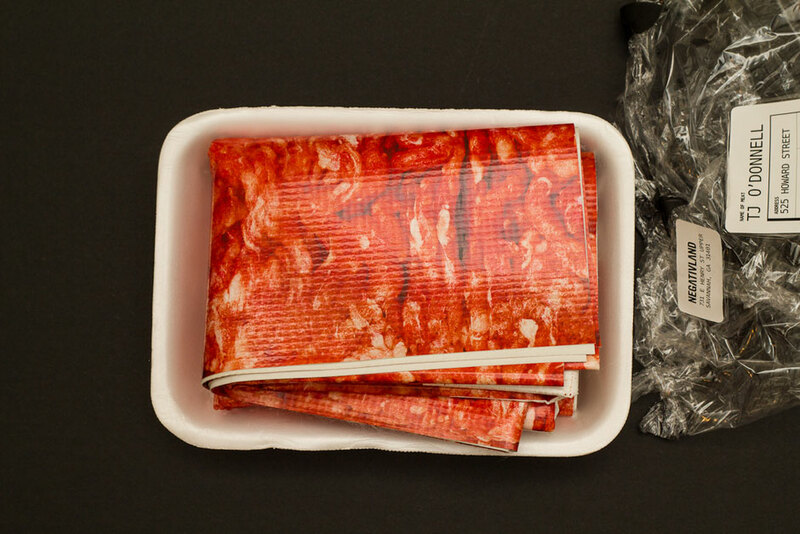 It’s disgusting.